Powerful multi-platform IM for the connected generation! Nimbuzz Messenger for Windows combines the power of internet and smart phone messenger into one, and lets you make free video calls, voice calls, send chat messages, make new friends in chat rooms and share files on any PC/mobile device across popular messengers. 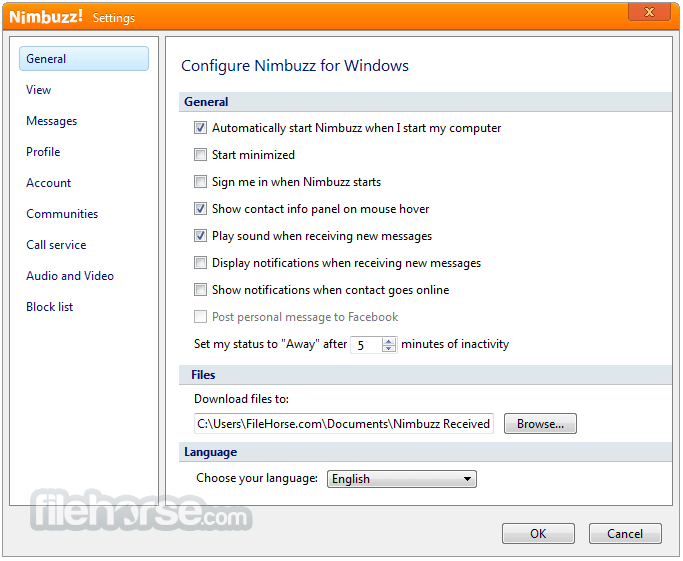 Nimbuzz Messenger is available on Windows, MAC, iOS, Android, Blackberry, Symbian and Java. Nimbuzz Messenger for PC lets you chat with your buddies on Nimbuzz, Facebook and Yahoo Messenger 24x7 for free. Connect your address book and share unlimited photos, make unlimited audio calls & video calls, share files, music and videos with other friends of yours on Nimbuzz, Facebook, Yahoo Messenger and Gtalk. You can also connect with your friends on Twitter using popular chat buddy. 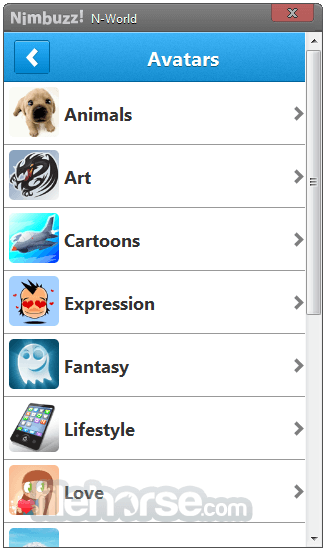 Nimbuzz Messenger is super-popular and 100+ million registered users across platforms prove that. Connect with your Nimbuzz friends and all your friends across popular instant messaging - and social networks. Use simple ‘drag n’ drop’ function to share music, movies and photos with your friends. With one log-in you connect with friends on Nimbuzz, Facebook, Windows Live Messenger (MSN), Yahoo and Google Talk. Use Nimbuzz for Windows to call your friends for free no matter where they are and enjoy unbeatable audio quality and ease-of-use, powered by the latest state-of-the art audio engine. Buy NimbuzzOut credits and make low-cost international calls directly from your PC to landlines and mobile phones anywhere in the world. Plus, you'll never forget a name or number by storing all your important contacts in the Nimbuzz Phonebook. You can also make calls using your favorite Internet call provider (SIP/VoIP).